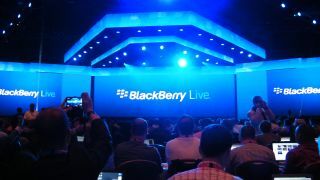 At BlackBerry Live 2013 in Orlando, the Canadian firm confirmed that it now has over 120,000 apps in its BlackBerry World store. Considering BlackBerry 10 only launched in January with 70,000 apps, it's witnessed some serious growth over the past few months to reach this new milestone. BlackBerry's closest rival in the mobile market is currently Windows Phone and the latest stats out of the Microsoft camp reveal the Windows Phone store has 145,000 apps - but remember WP has been around for a few years. Of course both pale in comparison to the Apple App Store and Google Play which boast over 700,000 applications each, so there's still a very long way to go for BlackBerry if it wants to mix with the big hitters in the mobile market. However, in the short term, BlackBerry has Windows Phone in its sights as it aims to become the third most popular mobile platform in the world after iOS and Android, and a burgeoning app store will certainly help it towards that goal. BlackBerry CEO Thorsten Heins says the firm is seeing a continuous stream of partners committing to BB 10, which should see BlackBerry World continue to grow - and that's key for its devices when it comes to attracting new customers.